Photo Credit: Axie Breen Photography! 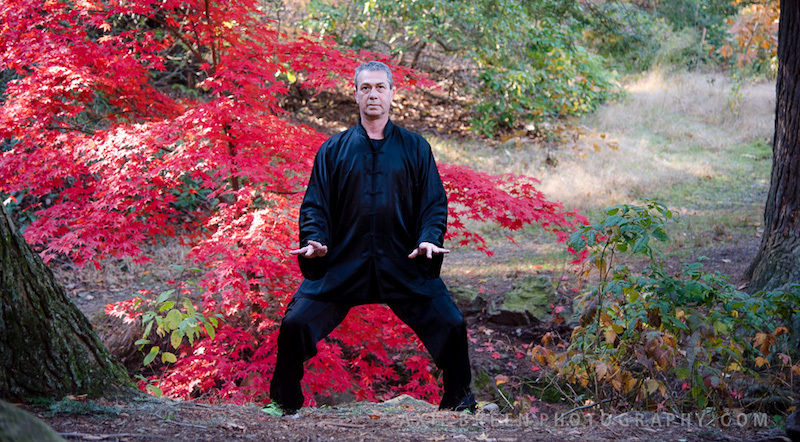 In the previous blog, we began working on the meditative shaking techniques for the fingers, wrists, and elbows. These techniques are all based on the best way to awaken the energetic system and prepare for physical and mental activity. This week, we will tackle the shoulders. Next, focus on the shoulders. What is the joint above the shoulders? Well we do not have one and that is the reason at this point that we start pumping the feet against the floor. Do this very gently and just find the middle between pulsing and pumping: not too strong a pumping action but not as little as a pulse. By gently pumping up and down against the floor with the legs and the soles of your feet, you will be able to create the desired shaking and isolation of the shoulders. Of course, if you move the shoulders themselves, the movement would be too intense. This gentle bounce moves up through the body and reaches the shoulders, which will move gently up and down. They will just follow the motion from the ground up. To prevent knee problems and to practice the tai chi form, when bouncing and pumping through the legs, make sure that the weight moves through the knees into the floor and not into the knees. Here is an example of how to discover the various yin and yang sensations. For the first major sensation, you simply pulse and pump the shoulders. To feel the second and third sensations, you try to tune into a clearer sense of the energy of the shoulders. The shoulders have three major zones. In each zone, the sensations are different. First Posture: Position the thoracic spine a little forward as in the turtle back posture. The shoulders move slightly forward. Pulsing the body in this posture creates one strong sensation, stretching the upper back. Second Posture: Position the shoulders in the neutral middle position, straight up and down. Third Posture: Thrust the thoracic spine forward, gently bend back and let the shoulders move backward, stretching the chest. Alternatively, you can isolate one shoulder at a time. Close one side of your ribs and open the other. If you isolate the right shoulder, close the ribs on the right side, open the ribs on the left and allow the arm to hang like a noodle, and bounce on the right leg. This will allow the right shoulder to loosen further. Within each single shoulder focus, you still have the three major areas that change the sensation: back, middle, and forward. Because the shoulders are also connected to your neck, when you pulse or pump the shoulders, if you turn the neck to different directions or hold it in different postures, you will find again that the sensation in the shoulder changes. Next week we will practice the pulsing through the ankles, knees, hips, spine, neck, and jaw!